Honor Award for the design of the Lewes Beachside and Cityside Streets Revitalization project in Lewes, DE. Honor Award for the design of the Washington Street Flood Control and Stormwater Retrofits project in Seaford, DE. Grand Conceptor Award for the design of the Howard H. Seymour Water Reclamation Plant Membrane and BNR Upgrade and Expansion in Lewes, DE. 1st Place Award in the category of Architectural/Engineering for the design of the Delmar Middle School expansion project. 2008 Project of the Year Award presented by the County Engineers Association of Maryland (CEAM) for the Homeowner’s Convenience Center for Cecil County, which consisted of a new homeowner’s trash drop and recycling station. The project was selected in the category of Large Project of the Year (over $500,000). Outstanding Project in Environmental for the design of the Mattawoman Wastewater Treatment Plant Upgrade for Enhanced Nutrient Removal (ENR), a joint venture with KCI Technologies. 2008 Governor’s Conservation Award for Excellence for Urban Conservation Activities in Sussex County, DE, sponsored by Governor Ruth Ann Minner. GMB was nominated by the Sussex Conservation District for the high quality of our plans and calculations as evident in submittals and certified construction reviewer (CCR) inspections. 2008 The Leon N. Weiner Fair Housing Award, sponsored by Housing Opportunities of Northern Delaware, Inc. (HOND), was presented to GMB’s Director of External Affairs, Robert L. Stickels. Achievement Award for the design of the Northeast River Advanced Wastewater Treatment Plant BNR/ENR Upgrade in Cecil County, MD. Merit Award for the design of the Glen Riddle Water and Wastewater Treatment Plants in Berlin, MD. Achievement Award for the design of the Pocomoke Wastewater Treatment Plant in Pocomoke, MD. 2004 GSA Design Awards for the ATF Fire Research Laboratory in Beltsville, MD. GMB teamed with Whiting Turner Contracting Company to complete this design-build project. Achievement Award for the Fruitland Wastewater Treatment Plant, Biological Nutrient Removal (BNR) Upgrade and Expansion in Fruitland, MD. Achievement Award for the Conococheague Wastewater Treatment Plant in Washington County, MD. Grand Award for the Seaford Wastewater Treatment Facility, BNR Upgrade and Expansion in Seaford, DE. 1998 Governor’s Conservation Award sponsored by Delaware Gov. Thomas R. Carper for the fulfillment of Urban Conservation Activities that are deemed exemplary in design & execution & beneficial to all citizens of DE for the construction inspection of the West Rehoboth Expansion of the Dewey Beach Sanitary Sewer System in Sussex County. Honor Award for the West Rehoboth Expansion of the Dewey Beach Sanitary Sewer District in Sussex County, DE. 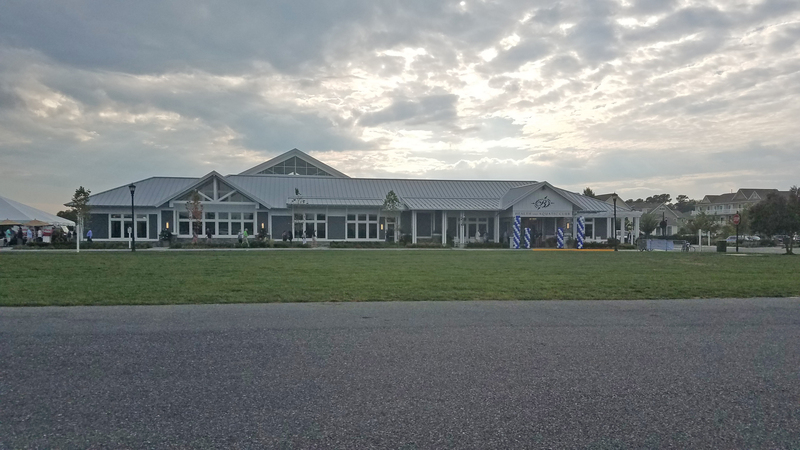 1996 Outstanding Projects of the Year sponsored by the Eastern Shore Chapter Associated Builders & Contractors for the New City of Salisbury Police Operations Facility in Salisbury, MD. Grand Award for the Back River Wastewater Treatment Plant Full Scale Biological Nutrient Removal Demonstration Plant in Baltimore, MD. Award for the Activated Sludge Mod I Project at the Back River WWTP in Baltimore, MD. Award of Merit for the Piney Orchard Wastewater Treatment Plant in Anne Arundel County, MD. 1985 Accessible Building Award for the design of Eli’s Country Inn in Greenwood, DE. Award for the Trenton Street Pump Station Rehabilitation in Cambridge, MD. 1981 Certificate for Excellence in Concrete for the design of the PRMC Radiation Oncology Unit in Salisbury, MD.